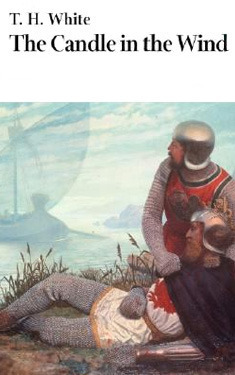 In this Really Like This Book podcast script catch-up from the King Arthur mini-series, I’m going to pause briefly to remind you that Sir Thomas Malory’s Morte Darthur is the main source for modern retellings of the stories about King Arthur. 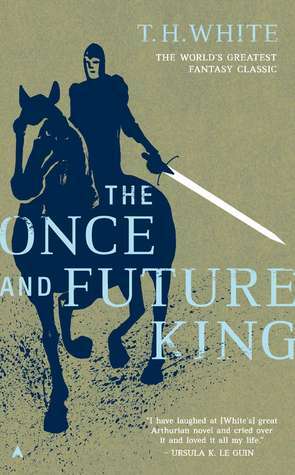 The best twentieth-century retelling, in my considered opinion, is the tetralogy by T H White called The Once and Future King. White has recently had unexpected publicity for one of his least accessible works, The Goshawk, on which Helen Macdonald draws extensively in her tremendously successful H is For Hawk. White first Arthurian novel was published in 1939, The Sword in the Stone. It tells the story of the boy Arthur’s childhood and training under the tuition of Merlin. This is the most famous of the novels in the tetralogy, and was made into a musical called Camelot in the 1960s, and a 1970s Disney cartoon that I loved as a child. Its charm is that Merlin turns Arthur into things so that he can learn what a king needs to know: he experiences life as a fish, and as a bird, and lives with Robin Hood, watches a joust, gets captured by a giant, and hunts boar. Finally, he goes to London with Sir Ector and Kay, pulls the sword out of the stone, and becomes, to his great confusion, king. The basic story comes from the Malorian sources, except for magical twists by White, including all the animal parts. Most imaginatively, in White’s version of the Arthur story, Merlin is living his life backwards, When Merlin meets Arthur as a small boy, that is the last time he will see him, because he has already observed all of Arthur’s life, and knows what will happen in Arthur’s future. This explains, beautifully and neatly, how second sight works. White writes in a gloriously anachronistic style, mixing up Latin, medieval lore, the irritated precision of a Cambridge don, and comments to the reader about what we need to understand about medieval life. When he stops making intellectual jokes, White’s prose is very beautiful, and direct. His style is engaging, and makes the characters as real as you or I, rather than cardboard cut-outs speaking an archaic language. For this he owes a lot to Naomi Mitchison’s experiments in writing historical fiction in purified modern language. The Sword in the Stone ends at Arthur’s crowning, but White continued to think about Arthur, why this king had become a symbol for knightly perfection, and what power and restraint meant for humanity. This thinking continued all the way through the Second World War (which White spent living in exile in rural southern Ireland, working through powerful feelings about pacifism, which were part of his philosophical crisis about manifestations of power). By the 1950s White had written three more novels about how Arthur grew into kingship, and how the fatal strands of his story evolved. The Sword in the Stone was not so much rewritten as shaken up a bit, with some episodes removed to be used elsewhere, and new ones inserted because they were needed to make The Sword in the Stone part of a larger whole. So, in the tetralogy proper, The Sword in the Stone was still about the boy Arthur growing up, and was followed by its new sequel, The Queen of Air and Darkness (or, The Witch in the Wood). This was about the childhood and early manhood of the Lothian family, the knights Gawain, Gareth, Agravain and Gaheris. They were the sons of Morgause, the Queen of Orkney and wife of King Lot, and Arthur’s half-sister, though nobody knows this except Merlyn, who has forgotten to tell Arthur, and Morgause herself, who is a witch. This is a very dark novel, where hopeful characters are disappointed, and the weather is usually cold and wet. It begins with an agonising scene of the children’s love for their mother, who ignores them, and a cold vignette of her boiling a cat alive to find the magic bone that will render her invisible when placed in the mouth. None of the bones work. The lives of the Lothians are centred about the draughty heathlands about their cold, primitive and tumbledown tower, until they go south with their father to fight Arthur, after which they will join Arthur’s company. The novel ends with the critical moment in the Aristotelian tragedy that is the story of Arthur: he sleeps with his half-sister without knowing it, and the boy who is born will be his death. 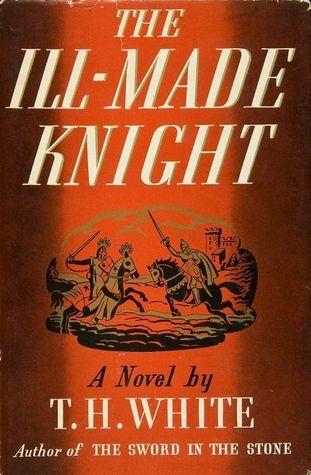 Novel number three is The Ill-Made Knight, which is all about Sir Launcelot, a miserable man who cannot help being the best of Arthur’s knights, and Sir Galahad, who is perfection and cannot help that either. This novel is also very sad, because Arthur’s hopeful plan to stop war and violence and brutality by inventing the Round Table, has been knocked sideways by the simple facts of human nature. The women also begin to gain importance, with Guinevere and Elaine competing for Lancelot’s affections, and end up by being hated by him, even though he loves them hopelessly. As a man suffering compelling psychiatric disorders, poor T H White wrote a lot of himself into the suffering masochist Lancelot. His loathing of his own mother also comes across hot and strong in this novel: women really don’t do well in this story, despite their stronger presence, but they don’t do well in the whole Arthurian saga. The feminist rewriting of Arthur would have to wait until Marion Zimmer Bradley and her ground-breaking but painfully gushing The Mists of Avalon, in the 1980s. The last novel of the tetralogy is The Candle in the Wind, which brings in Mordred to the story, the betrayal of Arthur, and break-up of the Round Table. We read, painfully, of the fulfilment of many destinies on the field of battle, and of magical foresight as well. The novel ends with a charming invention by White, of the old king Arthur on the eve of his last battle talking to a young and frightened page, who is called young Tom Malory. But this is not the end of the story. 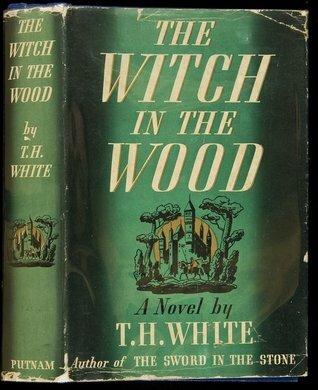 After White’s death, a fifth novel was found in his papers, which turns the tetralogy into a pentalogy. 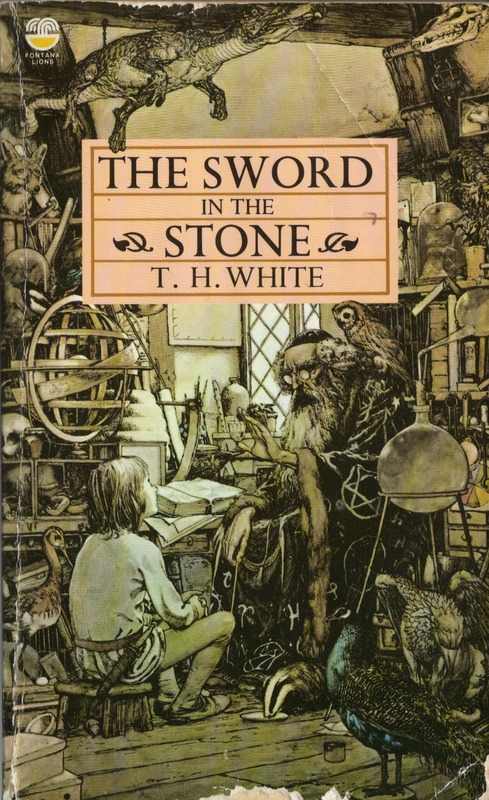 This last, posthumous novel was published in the 1980s as The Book of Merlyn, and is a return to all that White’s admirers loved best about The Sword in the Stone, when Arthur goes to live among the animals to understand better what it is to be human. Arthur is now an old man with much experience behind him, and his encounters with animals are desperately sad. He goes to live with the geese, and falls in love with a female goose, because bird love is pure, eternally loyal, and uncomplicated. (This episode had already appeared in, I think, the revised Sword In The Stone. He did keep moving sections about.) But just as Arthur has realised what love, acceptance and peaceful contentment actually feel like, he is dragged away by Merlyn to return to the badger’s sett. Here he must sit in council with the animals to understand why homo sapiens (wise man) has turned into homo ferox (ferocious man). Arthur is a king, so he accepts this abrupt and heartbreaking rejection of being in love, but it is a painful transition, saying much about the responsibilities of leadership and sacrifice of personal feelings. His next trip is to an ant-hill, a vision of a totalitarian society, clearly influenced by the fascist dictatorships attempting to take over the world in the war. White wrote a seriously frightening episode of science fiction here, with the ants’ instructions picked up by their pheromones in a horrific vision out of Orwell’s 1984, Just as Arthur rebels against the incessant instructions in his head, and turns to prevent ant war, expecting to be torn apart by his fellow workers, Merlyn picks him out of the ant-hill and brings him back again to the sett. Arthur’s last visit is to a hedgehog in the woods outside, who represents the common man, ignorant man, or (as we now might see it) man viewed with more than a touch of patrician condescension by White, writing against his times in the rebellious 1960s. He had tremendous difficulties with class and women all his life, and could not stop being a product of Cambridge and a teacher in the public school system in the 1920s. The hedgehog episode ends with a rendition of Jerusalem which breaks me up every time I read it. The Book of Merlyn comes to no conclusions about how man should be reclassified in the animal phylae because it ends with Arthur’s kingly rejection of theory and discussion, believing that with love he can only do his best. The novel ends with the movement of a snake in the grass, as Mordred and Arthur stand staring at each other at the heads of their armies, and someone draws a sword to kill it. White was an erratic and wayward genius, an eccentric writer but a brilliant one. This evocation of the story of Arthur is the most serious that I know of, since it digs deeper than just jousts and chivalry and the eternal tragic love triangle between Lancelot, Guinevere and Arthur. This is probably because White was not really interested in love between men and women, but was traumatised by the power that (he thought) women employ to control men. He wrote fiction to work out ideas and to teach people, to educate and to show by example. He was a strange and forceful persuader, intemperate and uncontrolled in so many areas of his life, and a violent perfectionist in writing. He applied a unique vision to this most English of myths, producing five powerful, marvellous novels. My favorite book, since I was in high school and, tapped to play Arthur in “Camelot”, I found it in my town library and devoured it and realized how awful the musical is., though I stuck with the role and the production and did a decent Richard Burton impression. I also began sketches for an opera…I still have them and it’s I project I think about now and again, decades later. A few years ago, I listened to “The Book of Merlyn” on tape, read brilliantly by Christopher Plummer and it left me wanting still more of White’s imaginative and intellectually stimulating take on the story. Must re-read. Thanks for the prompt. Still miss your voice on audio podcasts, Kate!